Ledisi has unwrapped the official tracklisting for her upcoming album. 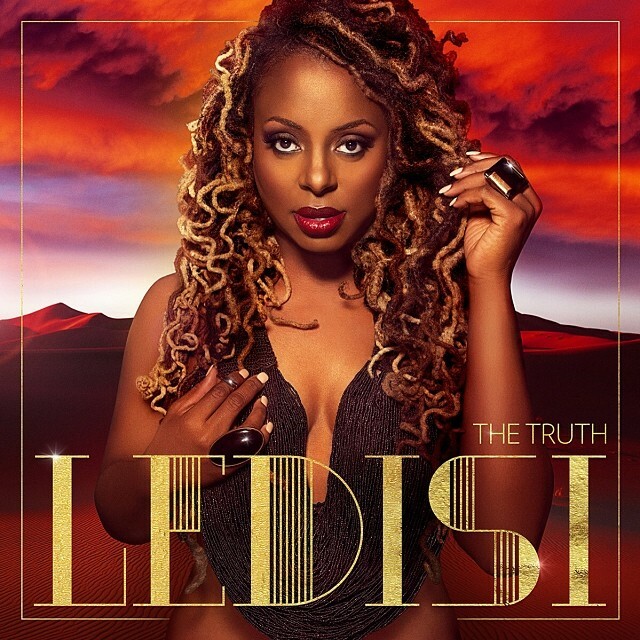 The singer/songwriter – born Ledisi Anibade Young – will release “The Truth” in the United States on March 11 via Universal / Verve Music Group. Lead single “I Blame You” – written by Ledisi along with Claude Kelly and Chuck Harmony – is now available for download via iTunes and all other digital outlets. The follow-up to 2011’s “Piece of Me” is confirmed to yield further alliances from Jerry Duplessis (RaVaughn, Bridget Kelly), Angela Hunte (Miley Cyrus, Britney Spears) and Darhyl Camper (Elle Varner, Chrisette Michele). Peep the tracklisting for “The Truth” below. Song Title: “All of Me” by John Legend. Written By: (John Legend / Toby Gad). Produced By: (Dave Tozer / John Legend). Label: [Sony Music Entertainment / Columbia Records]. Song Title: “Blow” by Beyoncé Knowles. Written By: (Beyoncé Knowles / James Fauntleroy / Justin Timberlake / Pharrell Williams / Timothy Mosley / Jerome Harmon). Produced By: [Beyoncé Knowles / Pharrell Williams / Timbaland / J-Roc]. Song Title: “Body Party” by Ciara. Written By: (Ciara Harris / Jasper Cameron / Nayvadius Wilburn / Michael Williams / Pierre Ramon Slaughter). Produced By: (Mike WiLL Made It / P-Nasty). Label: [Sony Music Entertainment / Epic Records]. Song Title: “Charades” by Chrisette Michele. Written By: (Chrisette Michele / Isra Lohata). Label: [Universal Music Group / Motown Records]. Song Title: “Deeper” by Ella Eyre. Written By: (Ella Eyre / Benjamin Ash). Produced By: (Two Inch Punch). Label: [EMI music Group / Virgin Records]. Song Title: “Kisses Down Low” by Kelly Rowland. Written By: (Kelly Rowland / Theron Thomas / Timothy Thomas / Michael Williams / Marquel Middlebrooks). Produced By: (Mike WiLL Made It / Marz). Label: [Universal Music Group / Republic Records]. Song Title: “The Right One” by K. Michelle. Written By: (Durrell Babbs / Jerren Spruill / Troy Taylor). Produced By: (Troy Taylor / J-Kits). Label: [Warner Music Group / Atlantic Records]. Song Title: “Torn Apart” by Snoop Lion f/ Rita Ora. Written By: (Angela Hunte / Ariel Rechtshaid / John Hill / Dave Taylor / Thomas Pentz). Produced By: (Major Lazer / John Hill / Ariel Rechtshaid). Label: [Sony Music Entertainment / RCA Records]. 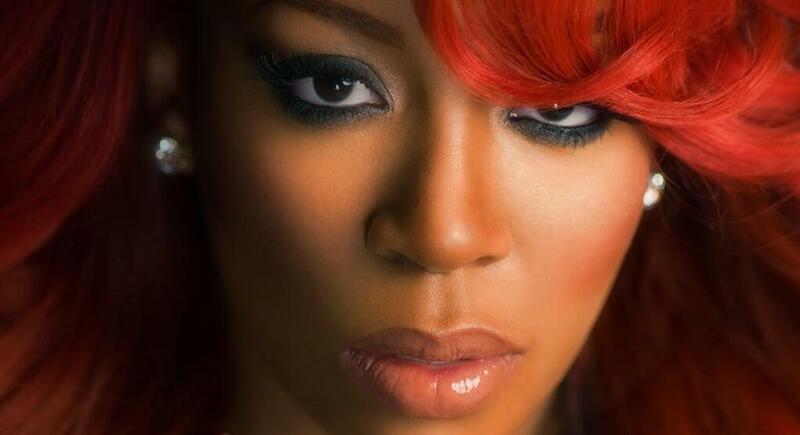 Song Title: “V.S.O.P.” by K. Michelle. Written By: (Priscilla Renea Hamilton / Warren Felder / Andrew Wansel). Produced By: (Oak & Pop). Song Title: “Without Me” by Fantasia Barrino f/ Kelly Rowland & Missy Elliot. Written By: (Fantasia Barrino / Missy Elliot / Al Sherrod Lambert / Kyle Stewart / Harmony Samuels). Song Title: “Another Love” by Alice Smith. Written By: (Alice Smith / Rebecca Johnson / Reginald “Syience” Smith). Produced By: (Reginald “Syience” Smith). Song Title: “Blown Away: by Angel. Written By: (Sirach Charles / Kassa Alexander / Ayodeji Balogun). Label: [Universal Music Group / Island Records]. Song Title: “Daydreamin” by Jessie J. Written By: (Jessica Cornish / Claude Kelly / Josh Abraham / Oliver Goldstein). Produced By: (Josh Abraham / Oliver Goldstein). Song Title: “Drive By” by Jessica Sanchez. Written By: (Jazmine Sullivan / Toby Gad). Label: [Universal Music Group / Interscope Records]. Song Title: “DUI” by Ciara. Written By: (Ciara Harris / Elijah Blake / Kenneth Coby). Song Title: “Feet to the Fire” by Kelly Rowland. Written By: (Kelly Rowland / Pharrell Williams). Song Title: “Kiss Chase” by Stooshe. Written By: (Joanna Perry / Ed Drewett / Darren Lewis / Tunde Babalola). Label: [Warner Music Group / Warner Bros. Records]. Song Title: “Love in the Afternoon” by Chrisette Michele. Written By: (Chrisette Michele / Nello Luchi / Isra “Wizzy Wow” Lohata). Produced By: (Isra “Wizzy Wow” Lohata). Song Title: “My Crib” by Mack Wilds. Written By: (Mack Wilds / Roosevelt Harrell / Salaam Remi). Produced By: (Salaam Remi / Bink). Label: [Sony Music Entertainment / Larger Than Life Records]. Song Title: “Pay My Bills” by K. Michelle. Written By: (Kimberly Pate / Bianca Atterberry / Nathan Perez). Song Title: “Pieces” by Tamar Braxton. Written By: (Sevyn Streeter / Bryan Michael Cox / Kendrick Dean / Anthony Franks / Brandon Sewell / Ashley Rose Collier / Michael Elemba / Jasper Murray / Delante Murphy / Quentin Deberry). Produced By: (Bryan Michael Cox / Kendrick Dean / Tec_Beatz). Song Title: “Put Your Name On It” by Kelly Rowland. Written By: (Kelly Rowland / Sevyn Streeter / Courtney Harrell / Harmony Samuels). Song Title: “Set Me Free” by Charli XCX. Written By: (Charlotte Aitchison / Dimitri Tikovoi / Ariel Rechtshaid). Produced By: (Dimitri Tikovoi / Ariel Rechtshaid). Song Title: “Supernatural Love” by Fantasia Barrino. Written By: (Tiffany Fred / Tiwa Savage / Taurian Shropshire / Al Sherrod Lambert / Carlos Coleman / Harmony Samuels). 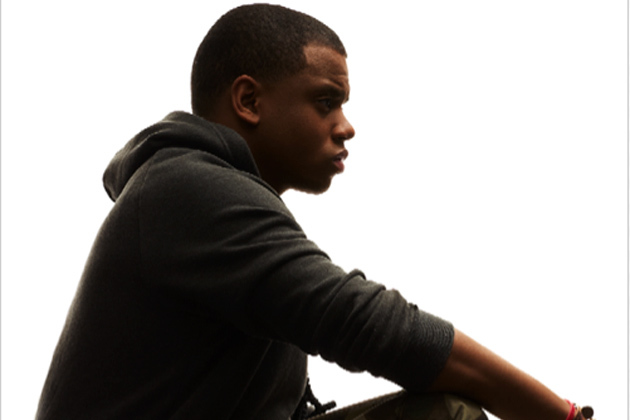 Song Title: “The Sober Up” by Mack Wilds. Written By: (Mack Wilds / Salaam Remi / James Poyser). Produced By: (Salaam Remi / James Poyser). Antonique Smith has worked with super producer Danja for her debut album. The singer/songwriter – best known for portraying Faith Evans on the 2009 biopic “Notorious” – is expected to release the still-untitled LP in 2014. Danja – born Nathaniel Hills – has previously collaborated with the likes of Nelly Furtado [Interscope Records], Justin Timberlake [RCA Records], Mary J. Blige [Geffen Records] and Mariah Carey [Island Def Jam Recordings]. Some of his recent songwriting and production credits include “Strawberry Vapors” by Luke James [N.A.R.S. Records], “Bad Girls” by M.I.A. [Interscope Records] and “Can You Hear Me Now” by Brandy [RCA Records]. For the highly-anticipated collection, Smith has also collaborated with Toby Gad (Beyonce, Kelly Rowland), Novel (Kelis, Leona Lewis), Jukebox (Willow Smith, Chris Brown) and Dr. Dre (Alicia Keys, Kendrick Lamar). Watch the lyric video for “Hold Up Wait a Minute (Woo Woo)” – written by Antonique Smith along with Elijah Kelley and Darryl Farmer – below. Lea Michele has debuted a new song online. “Battlefield” is lifted from the singer/songwriter’s debut album, “Louder,” out on March 4 via Sony Music Entertainment / Columbia Records. Some of Furler’s other notable songwriting credits include “Pretty Hurts” by Beyonce [Columbia Records], “Perfume” by Britney Spears [RCA Records] and “Double Rainbow” by Katy Perry [Capitol Records]. “Louder” boasts further songwriting contributions from Ali Tamposi (Kelly Clarkson, Leona Lewis), Anne Preven (Jordin Sparks, Demi Lovato) and Jaden Michaels (Naya Rivera, Candice Glover). Angel Haze has confirmed the details for her new single. The rapper/lyricist – born Raykeea Wilson – christened “Battle Cry” as the second promotional single from her upcoming debut album, “Dirty Gold,” out on December 30 via Universal Music Group / Island Records. The track was written by Haze along with Sia Furler and Greg Kurstin, who are also responsible for “Standing on the Sun” by Beyonce Knowles [Columbia Records] and “Double Rainbow” by Katy Perry [Capitol Records]. Among the other hitmakers backing Haze on “Dirty Gold” – which also features previous single “Echelon (It’s My Way)” – are Rudimental, James “Malay” Ho, Jake Gosling, A Tribe Called Red, The 83rd, and Mike Dean. Watch the music video for “No Bueno” – written by Raykeea “Angel Haze” Wilson along with Meleni “Polly A.” Smith and Sam “S-X” Gumbley – below. 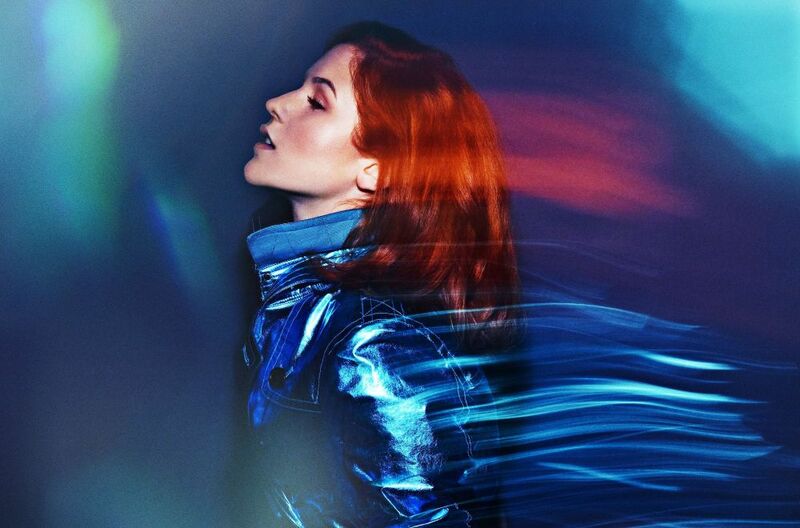 Katy B is out with the music video for her new single online. “Crying for No Reason” is taken from the British singer/songwriter’s upcoming sophomore album, “Little Red,” out in the United Kingdom on February 3 via Sony Music Entertainment / Rinse / Columbia Records. The track was written by Katy B – born Kathleen Anne Brien – along with regular collaborators Gordon “Geeneus” Williams and Guy Chambers. “Little Red” is confirmed to boast further collaborations with Fraser T. Smith (Ella Eyre, Rita Ora), The Invisible Men (Rita Ora, Conor Maynard) and Alexander “Al Shux” Shuckburgh (Bridget Kelly, Cheryl Cole). Katy’s debut album, 2011’s “On a Mission,” debuted at number two on the UK Albums Chart. It also delivered hit singles including “Katy on a Mission,” “Perfect Stranger” and “Lights On” featuring Ms. Dynamite. Watch the Sophie Muller & Ross McDowell-directed clip below.